“A View of the Bombardment of Fort McHenry.” Print by American artist John Bower, c. 1814. The full caption for the print reads “A VIEW of the BOMBARDMENT of Fort McHenry, near Baltimore, by the British fleet taken from the Observatory under the Command of Admirals Cochrane & Cockburn on the morning of the 13th of Sept 1814 which lasted 24 hours & thrown from 1500 to 1800 shells in the Night attempted to land by forcing a passage up the ferry branch but were repulsed with great loss.” Image from Wikimedia. Two hundred years ago, three weeks after burning down nearly every major federal building in Washington, British forces set their sights on Baltimore. Before reaching the city, they sustained heavy casualties in the Battle of North Point on September 12, and the commanding officer, Major General Robert Ross, was killed by a sharpshooter. The relatively inexperienced Colonel Arthur Brooke assumed command and advanced to the outskirts of Baltimore. Brooke realized that the city was heavily fortified and asked the Royal Navy (commanded by Admiral George Cockburn and Vice Admiral Alexander Cochrane) to soften the lines with naval fire. In order to get close enough, a British squadron had to first pass by Fort McHenry, which protected the harbor. 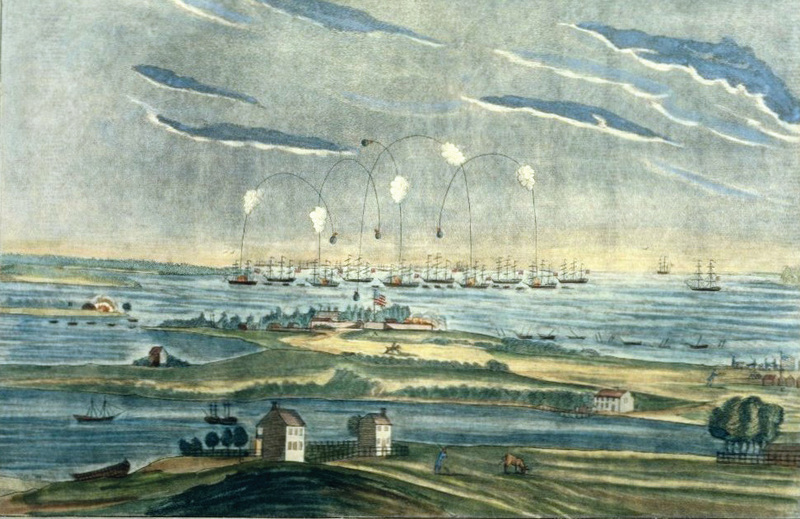 Bombs and rockets pummeled the fort for over twenty-four hours on September 13–14, but the attack ultimately failed, convincing the British to abandon the siege of Baltimore. 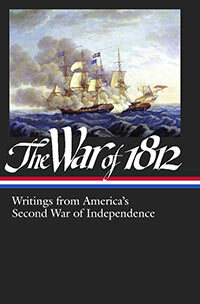 Francis Scott Key witnessed the bombardment from a ship and, inspired by the bravery and obstinacy of the American defenses, jotted down a few lines of the first verse of a song. A mere three days after the battle, the final poem was published as a handbill, with the title “Defence of Fort McHenry”; it quickly became one of America’s most-loved patriotic songs and in 1931 officially became the national anthem of the United States. In honor of the 200th anniversary of “The Star-Spangled Banner,” we present two selections. The first is the text of Francis Scott Key’s original handbill; it is followed by an account written four decades later by Roger B. Taney, the fifth U.S. Supreme Court Chief Justice. Taney recalls the events that led Key—his brother-in-law—to travel to Baltimore and end up on a ship that gave him a front-row seat to the Bombardment of Fort McHenry.